These and many other questions that confuse Catholics indicate the need for deeper adult faith formation in our country and throughout the world. The degree of misinformation about religion and society has only increased with its easier access via cyberspace networks. So often writers misquote Cardinal Newman’s “to grow is to change” without conveying his understanding of growth in continuity. 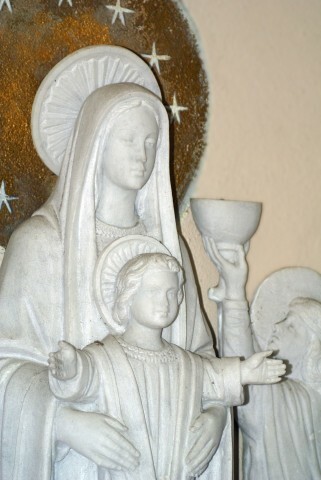 Catholics are swayed by beliefs and practices that are contrary to the faith, which many try to pass as authentic Catholic teaching. Newman lived in a nineteenth century England which was marked by modern technological development and an industrial revolution – with a consequent rise in materialism and atheism. He understood well the materialistic and relativistic culture, which is why he is able to speak to our times. He also defended the harmony between faith and reason that is so much lacking in our society. Our time prides itself in scientific advances and looks to science almost as a god. Like St. Josemaría Escrivá and St. John Paul II, Newman taught lay people to strive for holiness in their work and daily pursuits, whether in universities, factories, or fields, finding the harmony between faith and reason. Blessed Newman, beatified by Pope Benedict XVI on September 19, 2010, offers us a deep understanding of the Church’s tradition, teaching office, and true development of doctrine, countering the prevalent and simplistic approach to growth in doctrine. Knowledge of the faith is attractive and engaging. It leads to a growth in friendship with Christ. As a result we are able to evangelize and to teach it to family and friends. Newman had many friends and cultivated friendships with people, and he realized that through genuine friendship one can have a healthy influence on others. 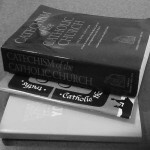 The study of the Catechism and the Gospels in parish adult formation can be supplemented with some selections of Newman’s writings on the Trinity, the Incarnation, the Scriptures, the Sacraments, as well as on the moral life, taken from some of his books, such as Development of Christian Doctrine and Grammar of Assent. But accepting the Church’s moral teaching requires more than doctrine, or better a doctrine that becomes part of one’s life. Christian formation is a path that entails growth in virtue and the habit of daily prayer. The writings of saints like St. Theresa of Àvila, St. Thérèse of Lisieux, and St. Francis de Sales are fundamental guides along this path. Here, too, Newman serves himself as a guide. 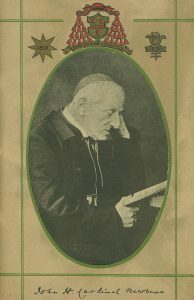 In addition to his sermons, in particular the Parochial and Plain Sermons from his Anglican period, he offers beautiful meditations and prayers composed as a Roman Catholic (Meditations and Devotions). Just as there are patrons for all types of endeavors, we need a patron for adult formation, and Blessed Newman is just that person. However, first he would need to be canonized – which we hope will take place in the near future. In the mean time, the United States bishops could obtain permission from the Holy See to celebrate throughout the country the memorial Mass each year on his saint’s day, October 9. 1/ Don’t assume your catechumens/candidates or students know anything. I once had the experience of teaching someone who had never heard about the Trinity. He had no frame of reference and no idea what I kept referring to. That experience taught me to ask my students what they knew about a particular area of faith, before we discussed it. 2/ Don’t assume your students know nothing. It seems that every year I am shocked by one person who has been studying the Faith on their own and could probably teach the class! Again, beginning with a question and answer session is a great way to learn what gaps and what knowledge your students have. 3/ Don’t think teaching the Faith is all about knowledge and education. Teaching Faith is more about relationship than anything else. 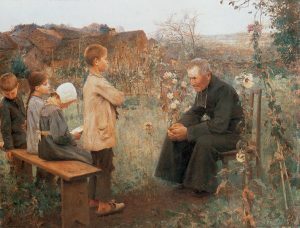 If you connect with your students, establish trust and have a true interest in their spiritual journey, they will be engaged and interested in the information you share with them. 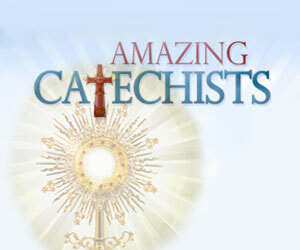 Catechism differs from other ‘classes’ they will take in life, as it will become a part of their life. The hope is for your students to not just learn, but internalize and love their Faith. 4/ Don’t think everyone learns the same way. Students tend to learn either auditorally (by hearing something), visually (seeing) or tactically (feeling). Combing different styles of teaching can be more effective to more people. For example, teaching about the Mass, then attending a Mass and discussing it afterwards (or during, if your parish priest doesn’t mind explaining things as he goes along) will help students who learn in different ways absorb the information. 5/ Don’t think you must have all the answers. It is okay to explain to your class that all aspects of Catholic teaching can take a lifetime to learn. 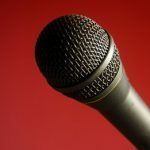 We have a finite amount of time to cover all important topics, so if you don’t know something just tell them you don’t know and look it up for the next class. I encourage my adult class to look up the answers on their phone or computer when I don’t have the answers so that we can learn together. 6/ Don’t avoid the tough questions. Most catechists get questions that can make us uncomfortable. When this happens, the best response is to depersonalize the answer and just answer it frankly and honestly, referencing the Catechism (rather than sounding like you are the moral authority). I usually begin by saying, “The Church, in her wisdom and led by the Holy Spirit, states in the Catechism…” If they have an interest in learning about how this teaching has affected me personally I will go ahead and share that with them. 7/Don’t believe that someone else’s faith journey is your responsibility. We have an obligation to instruct, engage and set a good example, but it is the Holy Spirit, and not the teachers, who leads someone to Faith! We can assist the Spirit by increasing in our own knowledge of the Faith so that we are effective instructors, showing genuine Christian love for our students and praying for them. Good luck and God Bless!